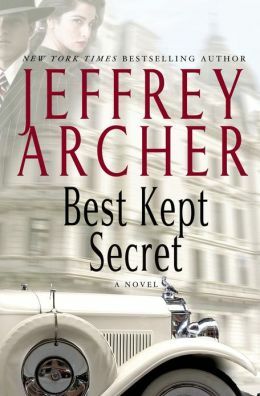 The third book in Jeffery Archer’s saga of the Clifton and Barrington families – Best Kept Secret – resolves the inheritance issues from the second book, and introduces the next generation. Sebastian, son of Emma Barrington and Harry Clifton, manages to uphold the family drama with his own escapades; one involves Third Reich money laundered through a South American villain. Beware – the ending is another cliff hanger, but since the principals of soap operas rarely die, the probable outcome is predictable. My library request was granted the day before I was to leave on a trip. Thinking I would savor the easy drama on my red-eye flight, I checked out the “hot pick” (due back in 7 days) – but couldn’t resist and read the book in a sitting the night before leaving. Fast-paced fun family drama with a few diversions in the simple plotting. If you are a fan, this book is the midpoint in the series, and Archer doesn’t keep readers waiting long for the next installment. Almost a year later, the next installment of the Clifton Chronicles has appeared, with Harry a successful best-selling novelist and Emma as Chair of the Board. This time someone significant does die unexpectedly in the middle of the story, but the drama continues as the Barringtons have their first luxury liner ship ready to sail. The family may narrowly escape a financial destruction but the family nemesis, Martinez, may be leaving behind two sons bent for revenge. Some of the principals may not survive the final pages with an IRA bomb imbedded in a vase of lilies. – until the next installment. Although Archer fills in the back story for those who either have not read the first few books – or for those, like me, with bad memories of who is who, I’m starting to think it would be more fun to read them in tandem – a marathon read that would take one cliffhanger into the next without as much of a wait. Then I might remember who the good guys and bad guys are. 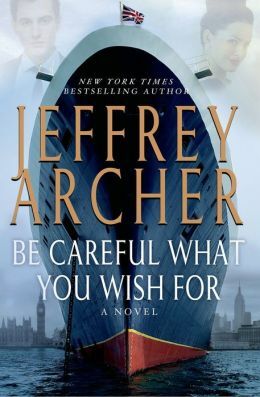 This entry was posted in authors, book review, books, mysteries and tagged Archer, Be Careful What You Wish For, Best Kept Secret, British mystery, British saga, Cliffhanger, Clifton Chronicles, drama, family drama, family saga, Harry Clifton, Jeffrey Archer. Bookmark the permalink.